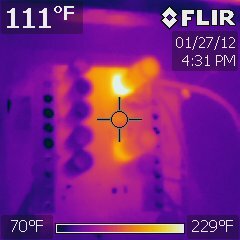 All FLIR E-Series infrared cameras help you catch problems immediately, diagnose them correctly, and work far more efficiently. 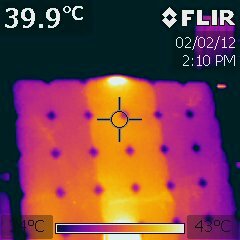 Use the FLIR E6 to check energized equipment, justify repairs, spot mechanical wear, perform energy audits, find moisture damage, and minimize downtime. 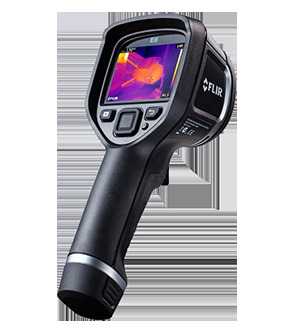 FLIR Tools & More � Every FLIR E-Series camera includes free PC software for creating customized reports, plenty of memory, and a hard carrying case. The FLIR E6 comes with: hard transport case, FLIR Tools� PC software download card, printed getting started guide, printed important information guide, warranty extension card, user documentation CD-ROM, calibration certificate, battery (inside camera), power supply/charger with EU, UK, US and Australian plugs, USB cable.